Cave diving is something that most scuba divers read about and awe at but never get to do. So why and how does a diver get into cave diving? The how of cave diving? The CDAA (Cave Diving Association of Australia) is the governing body in Australia and controls all things to do with the underwater cave. The first course you will complete will be the deep cavern course. This involves going down to a depth of 40 metres inside one the many sinkholes and caverns mostly located in the Mt Gambier region of South Australia. A cavern is similar to a cave only there is always a natural light source making it safer than an enclosed cave system. 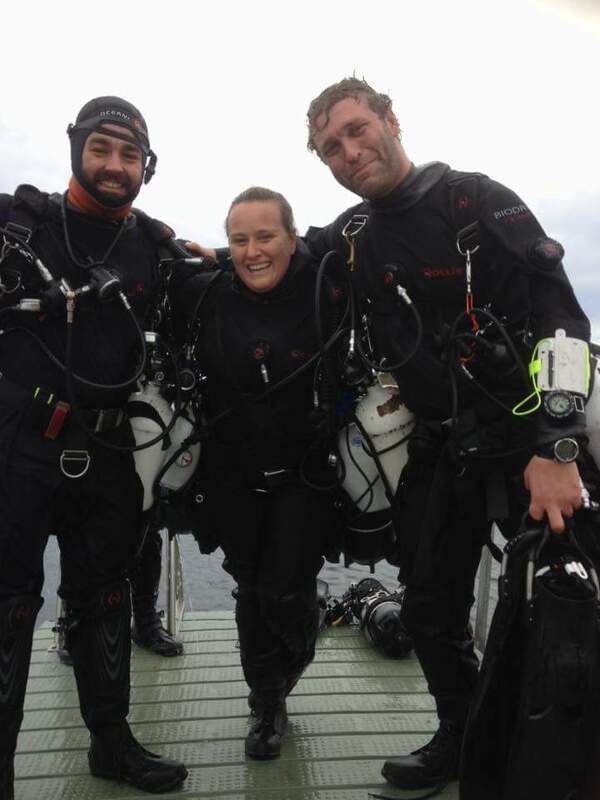 Whilst it can be a tough course it is also extremely rewarding and satisfying, knowing that you are diving a place few people have ever seen before. The gear of a cave diver? A diving setup that supports two cylinders (or rebreather) is required in either the sidemount or backmount configuration. A BCD such as the Hollis sms100 or sms50 along with twin regulator sets will allow you to dive sidemount and is a great setup you will often see in the world of cave diving. Fins that are specialised for wreck or cave diving (but can be used normally too) such as the Hollis F1 /F2 fins as essential. They will allow you to use the frog or modified flutter kick inside a confined environment to pivot your body using a single fin whilst preventing silt clouding up the cave and with a little practice kick backwards and reverse. Three torches are required and it is recommended that you get one more suited to cave diving than normal. This means the beam is focused, rather than widespread allowing you to see further in low visibility situations. Finally a good quality reel of 80 metres or more, there are a few other specifications for reels so be sure to speak to a cavern diver before you purchase one. What experience do you need? Going from an Open Water diver to a Deep Cavern diver requires a handful of course and lots of practice. If you think that caves are somewhere you want to explore then doing the right courses is essential. 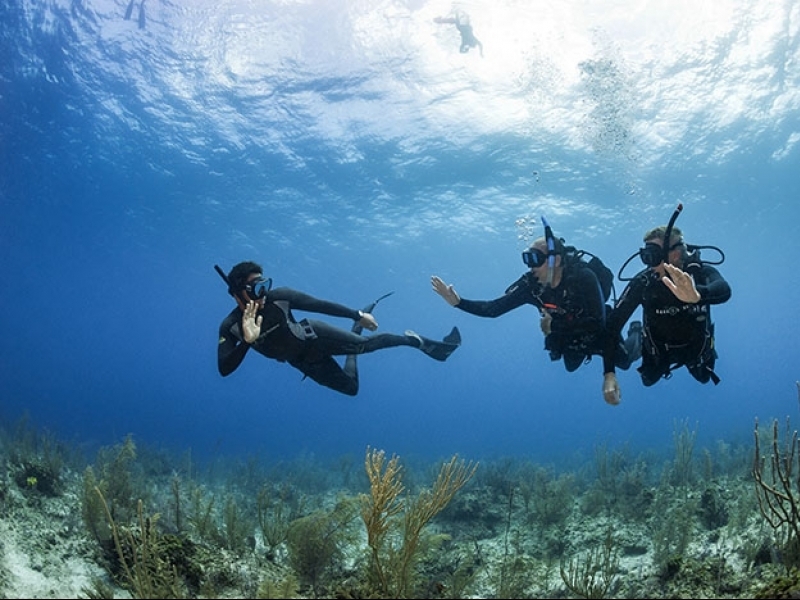 Starting with the Advanced Open Water course you will also need to complete the deep speciality (great for most divers in general), Sidemount speciality (or rebreather) and Night speciality. Depending on the time of year you intend to go, completing a Dry Suit course will also come in handy. All these specialities will be of great use in the general world of diving too. 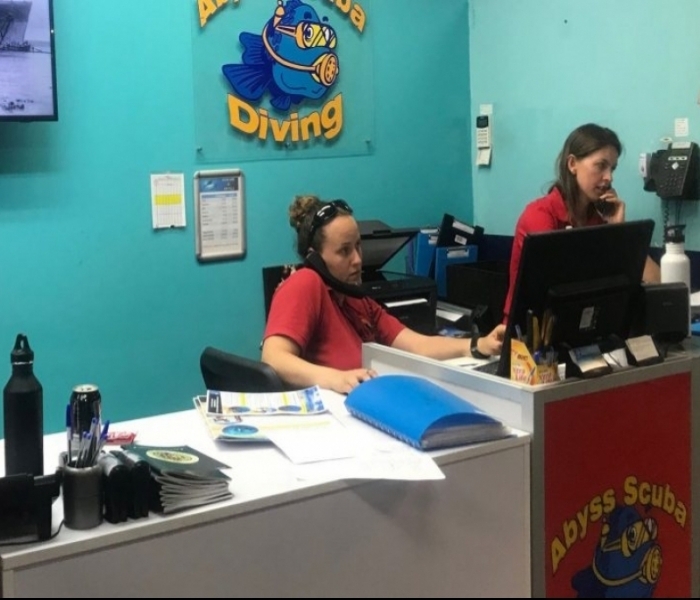 Whilst it may seem daunting if you have an aim and work slowly through these courses or do them as part of your Master Scuba Diver rating then you will be ready for cavern diving in no time. Why? There are many reasons, however most often when you ask cave divers why they all give you their own personal reason. For some, it is viewed as the pinnacle of diving. Others love the idea of exploration and being in places that few other humans have ever or will ever see. The difficulty and mental challenge that it provides you on a personal level is another common reason or how being a good cave diver will often make you a great regular diver. The idea of something different, the serenity and escape from the salty ocean and current. So if it sounds like something you want to try to make it happen and enter an amazingly spectacular underwater world.